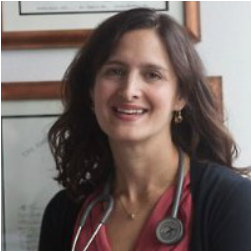 Dr. Lisa Ellman-Grunther specializes in the treatment of allergic disorders affecting the eyes, nose, ears, sinuses, lungs (asthma), gastrointestinal tract (food hypersensitivity), and skin (eczema, hives, drug allergy, and contact dermatitis). A graduate of the University of Michigan, Dr. Ellman-Grunther earned her medical degree from the Albert Einstein College of Medicine and completed her Internship and Residency in Internal Medicine, as well as her Fellowship training in Allergy and Clinical Immunology at the Mount Sinai Medical Center in New York City. Dr. Ellman-Grunther has been treating patients with allergic and immunologic disorders since she finished her training in 2001. Dr. Ellman-Grunther prides herself on developing strong personal relationships with her patients, taking a highly proactive approach to their overall care. She believes strongly that you do not need to suffer with allergies, and has helped many people who thought they were beyond help with seasonal allergies, chronic coughing, wheezing, itching, as well as food allergy issues. She is certified by the American Board of Allergy & Immunology, and is also a Fellow of the American Academy of Allergy, Asthma and Immunology. ​We accept most major insurance plans!